So it was the end of the road at the World Championship for the Unicorn duo of Gary Anderson and Dimitri van den Bergh. Anderson will rue missed chances as he lost 5-3 to Phil Taylor, while the Belgian was edged out in a thriller by Rob Cross. The Scot missed a chance for sure after coming from 1-4 down. First he was two legs up in the fourth set to make it two apiece and lost it, then he blew a golden opportunity to take the match into a deciding set. 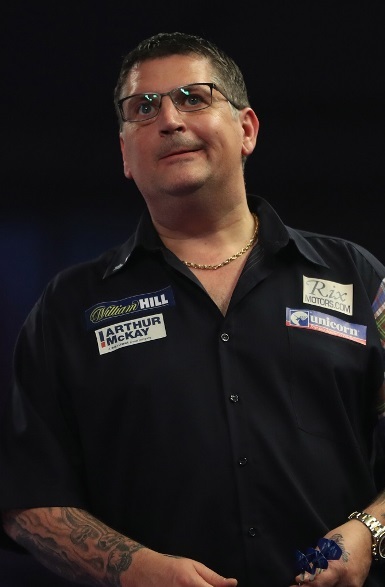 Anderson went on a run of winning six legs out of nine....throw in a couple of 180s and a couple of ton plus finishes and all of a sudden it was back to 4-3. Unfortunately his consistency deserted him. He saw off match darts from Taylor in set eight and an 8th maximum combined with a 112 check-out saw it go to another deciding leg. Twice Taylor failed to find a big treble but twice Gary failed to punish and that was that. He will be hugely disappointed because if he could have forced that deciding set he would have had a big advantage. 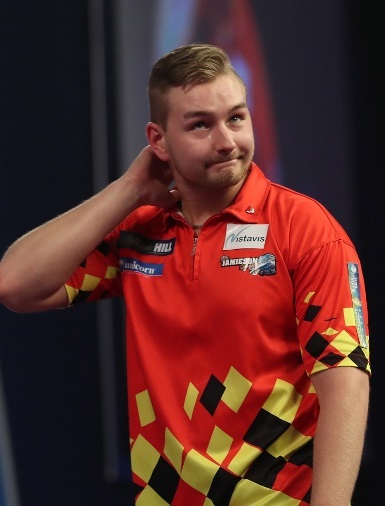 And heartache for Unicorn youngster Dimitri van den Bergh, who came within an ace of the World Championship semi-Finals but lost 5-4 to Rob Cross in an Ally Pally epic. But he should be very proud of what he has achieved. The Belgian fought back from 1-4 down to take the match the distance, before falling at the final hurdle with missed doubles ultimately costing him. The Unicorn man was clearly affected by the nerves at the start as he fell two sets behind in double quick time. Finally Dimitri settled down and two 13 darters helped him to take the third set. and he should have levelled the match. He missed four darts at ‘tops’ and D10 and Cross opened up a 3-1 advantage. It looked like he was coasting as he raced through the fifth set without reply, but that was the signal for the Van den Bergh fightback. In the next three sets, he banged in eight 180s, a 174 and a 171 and a 134 check-out. Dimitri won nine out of 11 legs and all of a sudden, it was four sets apiece! The Unicorn man then went ahead for the first time in the match after taking the opening leg of the deciding set. Unfortunately that was as good as it got. Dimitri wired D16 for a 132 finish after hitting two bulls.....he then missed three darts at D16 to go 2-1 up and finally, he missed five more darts at D12 and D6 and Cross pinched it on D1. But take a bow Dimitri van den Bergh. This is only the start.